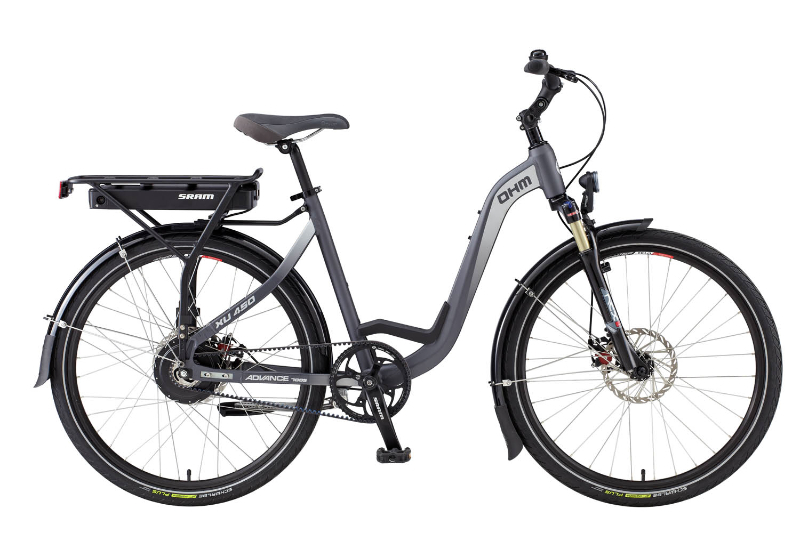 You are here: Home / Electric Bike News / E-Bike News: Toyota E-Bike, New Factories, New Designs & Tech, E-Bike Book, Tours, & More! BMC recently opened their new Stromer electric bike assembly facility near Bern Switzerland. They invested $8 million euro’s in the new e-bike plant! Speaking of new e-bike factories, Riese und Müller, just opened a new facility in Weiterstadt, Germany. 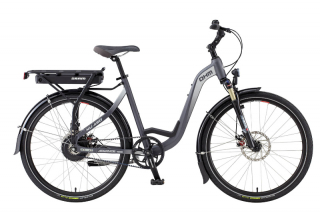 OHM Electric Bikes just announced their new OHM XU450 with SRAM E-Matic electric bike drive system, Gates Carbon Drive belt drive, and hydroformed aluminum step-through frame. It will retail for $2,899. This is a good article about the rise of e-bike tour companies! EBR correspondent, Paul Willerton, reports on his visit to B-Line PDX, an electric trike delivery service in Portland, Oregon. B-Line also offers a unique advertising platform! 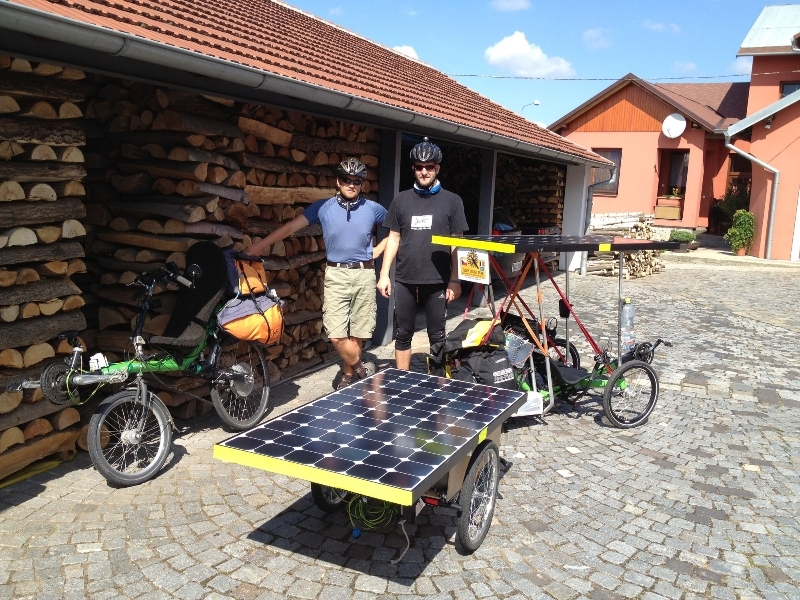 Here is a new twist on urban sustainable transportation: the combination of an e-bike with a mini e-bus! Jim Turner, President of Optibike, just released his new book on electric bikes called The Electric Bike Book. Jim covers the basics of what an e-bike is, their benefits, and much more! Now for some geek speak; First Bicycle Components, has developed a combined speed and torque sensor that is housed in the bottom bracket of a bike. Darfon Innovations Corp has launched the new EXCIMER Power Drive solutions for electric bikes. It claims to have a direct drive motor that is extremely quiet. 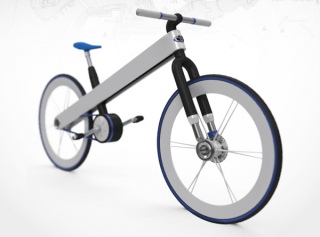 The Revelo LIFEbike is a new e-bike design with the pedals directly attached to the front wheel! Bikewatch is a new bike accessory that is a bike alarm, cable lock, and rear tail light all in one! Adventure! The Sun Trip is a 7,300 km solar electric bike ride/race that starts in France and finishes in Kazakstan! The riders get to choose their own route with only one check point in between. Help improve e-biking in the US by sharing your e-bike experiences with a research team from Portland State University! That’s it for now. Stay tuned for more e-bike news! Companies seriously neeed to stop putting the battery in the frame. Its a really bad idea because how can you replace it when it goes dead?? Most companies provide a way to remove the battery pack. Stromer has a door that opens to the side for battery removal; IZIP has a removal cap at the bottom of the downtube, etc. Placing the battery in or on the frame, low and centered on the bike is a good idea for balanced weight distribution and will be better for overall bike handling.